Gorgeous Views Abound! This beautiful Bailey 3 Bedroom/2 Bath home has all the amenities needed to enjoy living in the Colorado Foothills, without sacrificing the conveniences of city life. Set upon a secluded 2.5-acre lot, this home boasts a highly desired open concept design. 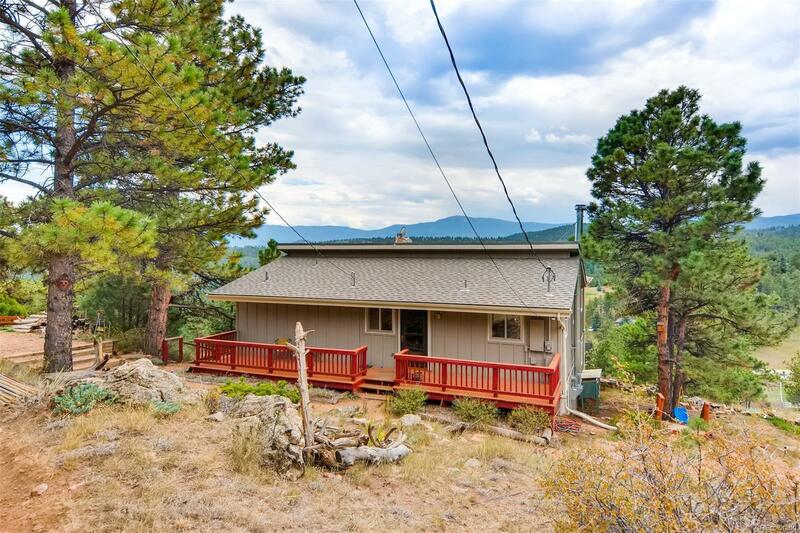 Wood floors, large windows, vaulted ceilings, and sprawling mountain views are just a few of the many features you will find inside this mountain oasis. Dreaming of outdoor entertainment, this home has you covered with multiple decks, hammocks, swings, a bocce ball court, horseshoe pit, and disc golf. There is also a greenhouse, shed/chicken coop and oversized 2-car heated 720 sq ft garage with additional workshop/storage space. Conveniently located to enjoy all the Colorado Mountains have to offer while still being able to easily commute to Denver. The possibilities are endless here! Come check it out before it gets snatched up!